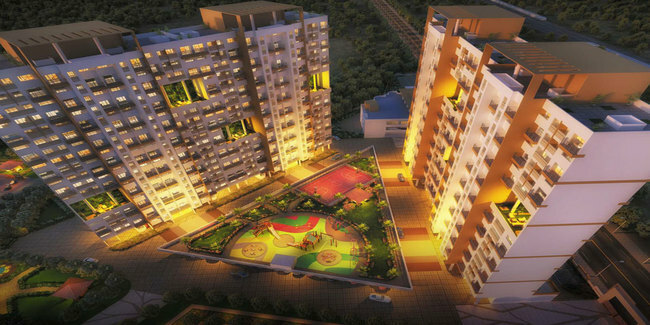 Details: The project is coming up at Ambernath East in Thane spread over 25 acre of land. The project offers 28 towers with G+18 floors, having 1, 1.5, and 2 BHK apartments area ranging from 730-1030 sq. ft. Apart from basic amenities, the project offers Basketball Court, Swimming Pool, Cricket Pitch, Football, Lawn Tennis Court, Multipurpose Court, Skating Rink, Amphitheatre, Banquet Hall, Gazebo, Multipurpose Hall, Party Lawn, Fountain, Shopping Centre, etc.